As the Denver Nuggets embark on another trip to the Las Vegas Summer League, six practices take place at the UC Health Practice Facility at Pepsi Center before they face the Minnesota Timberwolves Friday night at Cox Pavilion. A new wrinkle for this Nuggets summer league team is that the team will now be coached by assistant coach Jordi Fernandez. After replacing Nuggets assistant Micah Nori the past three seasons (still on staff), this will be Fernandez’ first head coaching stint since 2014-2016 when he was the head coach for the Canton Charge of the D-League. With just five days to build chemistry the new Nuggets Summer League coach knows it’ll be a challenge to get his team ready for their first game come Friday. “Well, we want to see how they get better everyday obviously. We are putting in place a system that is new for most of the group. Our guys know it, but again it’s a different set up, so they need to adjust to their role. 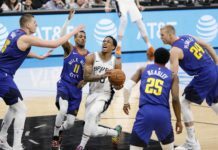 It’s going to be five days and a challenge to build the closest thing to a team,” Fernandez told the Nuggets media after the teams practice on Sunday. This years summer league squad is a also different for the Nuggets as neither of the Nuggets’ first two drafts picks will play in Las Vegas. Neither Michael Porter Jr. or Jarred Vanderbilt will suit up as both are recovering from injuries they suffered during their college seasons. 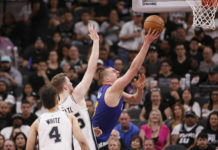 The only 2018 draft pick that’ll be participating this summer is Thomas Welsh, who is set to share center duties with Nuggets 2016 second round pick, Petr Cornelie. Welsh started all 33 games for UCLA last season and shot a career high 40.2 percent from behind the three-point line. After attempting just one three before his senior season, Welsh shot 112 last season and added a whole different dimension to his game. Welsh’s scoring ability and solid rebounding makes him a player to watch when the Nuggets start summer league play on Friday. 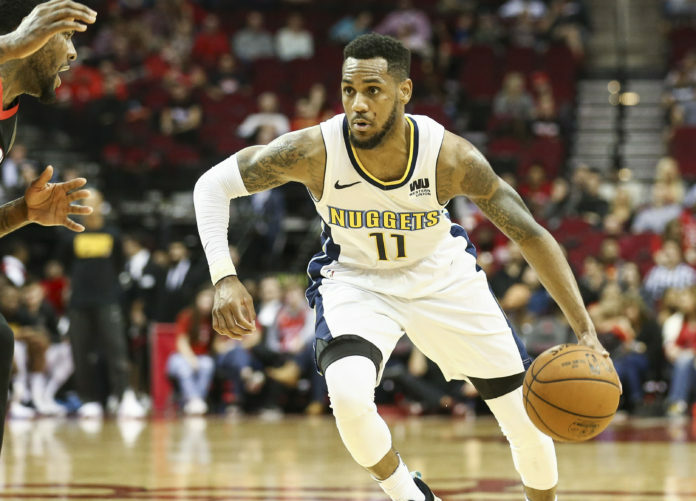 Of the – relatively – older players participating in Summer League, both Malik Beasley and Monte Morris are embarking on very important summers with the Denver Nuggets. For Beasley; he’s going into his second summer league and third season with the Nuggets. After averaging just 9.4 minutes per game last season Beasley is taking this summer as another opportunity to show the Nuggets what he can do. “Sticking to the same things, working hard mentally, getting more rest, taking care of my body, this is another level for me,” Beasley told Nuggets media after practice on Sunday. After being the teams primary scorer last summer league, Fernandez is looking for Beasley to be more consistent this summer. Morris is another Nugget whose due for a big summer as Denver is still without a back up point guard going into next season. Morris has the potential to be that guy and will have every opportunity to earn that spot. As Fernandez explained. 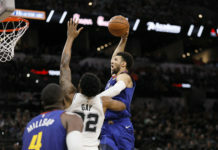 The second year point guard has appeared in just three games for the Nuggets last season, with the most exciting coming when Morris poured in 10 points and dished out six assists against the Houston Rockets. That game showed what Morris could do at the next level as he wasn’t competing against scrubs, he was competing against the best of the best in Chris Paul and James Harden. What stood out at Nuggets first Summer League camp is the passion and energy the team seems to play with. The Summer League roster is full of guys looking for an opportunity to play at the next level, and that was evident with how hard everyone was playing during the 5-on-5 scrimmage.